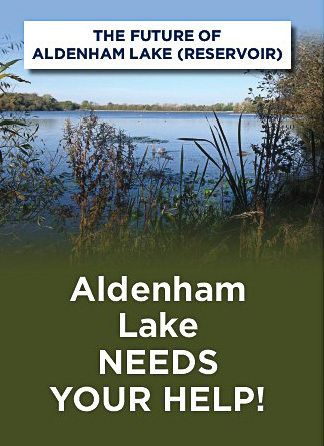 As you may be aware Hertfordshire County Council owns Aldenham Country Park but only has a lease on the lake and its surrounds. This lease ends at the end of 2015. The private owner proposes to secure the lake’s long-term use for the community by rebuilding the dam and, we believe, gifting the additional money to pay for future maintenance costs. They are also suggesting they will set up a trust to run it with the local community and stakeholders involved in this trust, once the rebuilding of the dam has been completed. Please see the following ACP Covering letter and Aldenham-Lake-Newsletter-4-page-1 giving further details. We urge you to give your views on these plans. The easiest way of responding is probably to go online to their website (www.aldenham4you.co.uk). Alternatively you can print off the question sheet from the newsletter and return it to the address on the questionnaire.